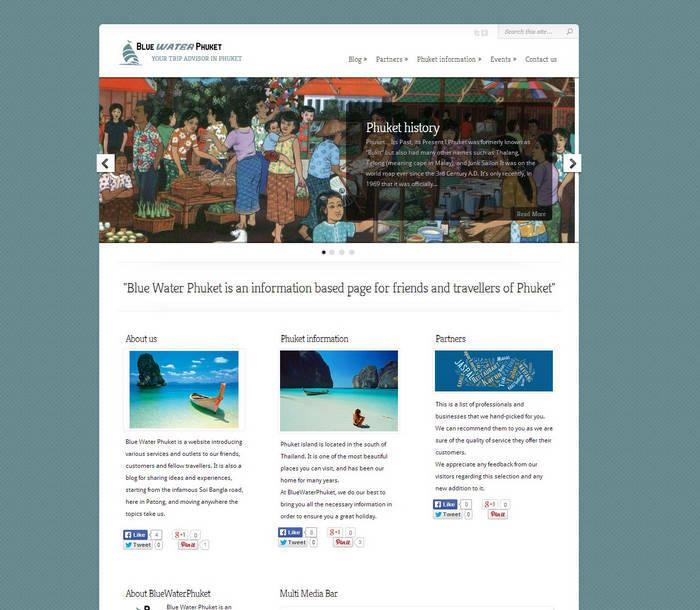 Blue Water Phuket is an information based page mainly for friends and travelers of Phuket and Khaolak. This is the perfect website for WordPress, as it will be mainly used for blog entries and events information. Powerful events manager, allowing unlimited events, bookings, and advanced search. Direct link to Facebook (publishes automatically on BlueWaterPhuket FB page any new item or page). Powerful SEO back end module.